Built from cured Chinese bamboo by Thomas Richardson. 5 finger holes total. Thumb hole on the back of the flute body. 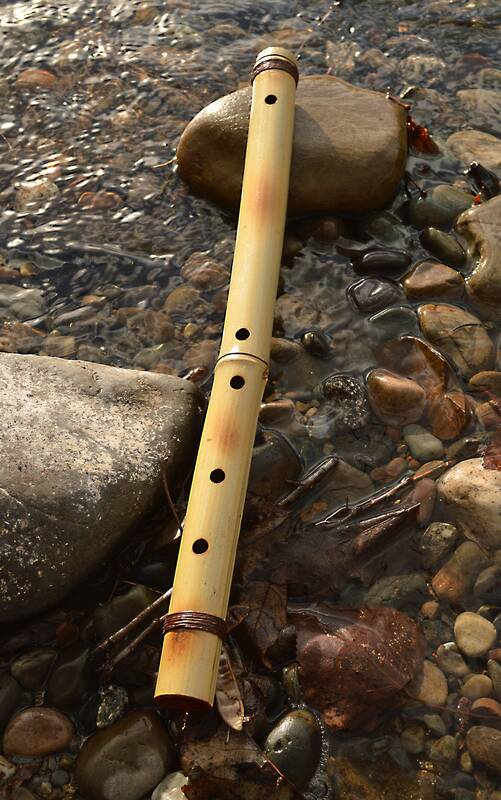 All finger holes and the bore are burnt into the flute body via burning irons and fire flame. 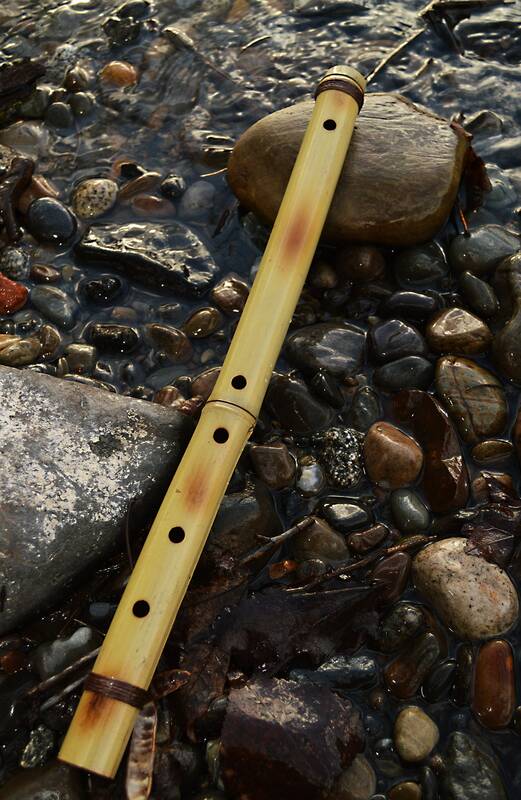 The bamboo flute is then washed in soap and water and then the inside is colored in cherry red color. Usually in the key of F and G minor Pentatonic. Beautiful natural colors with fire burnt touches. Final treatment with a nice gloss finish. Hemp bindings. 2-3 octave range A440 concert tuned. 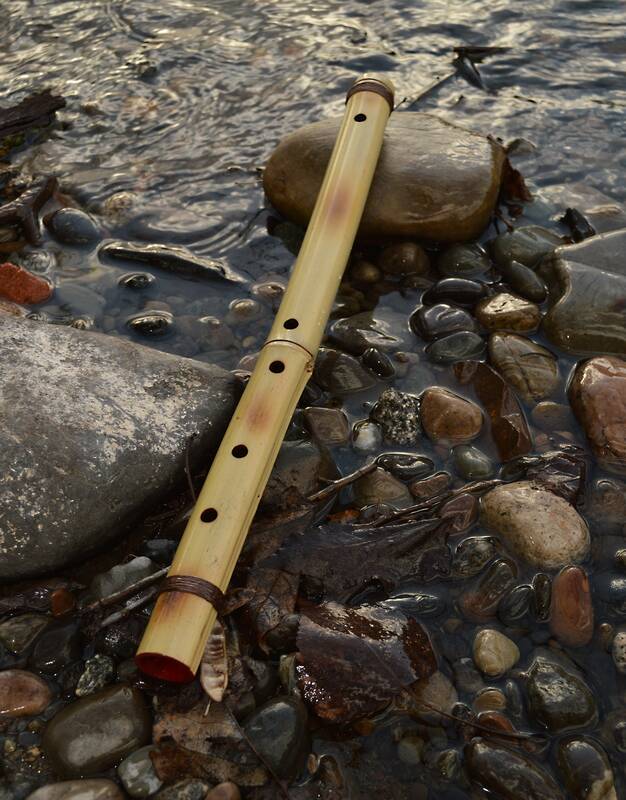 This is a great sounding little flute, fun and easy to play!